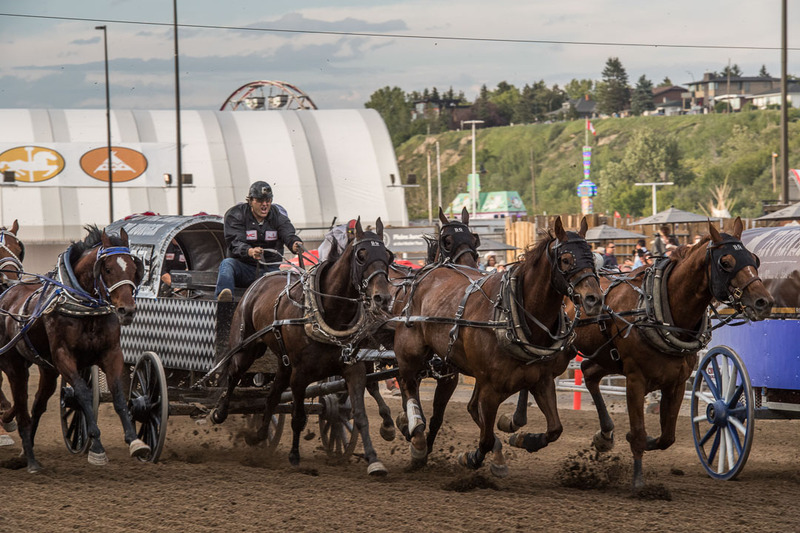 Every July, the Calgary Stampede attracts over 1.2 million visitors making it one of the world’s biggest rodeo and Western festival. 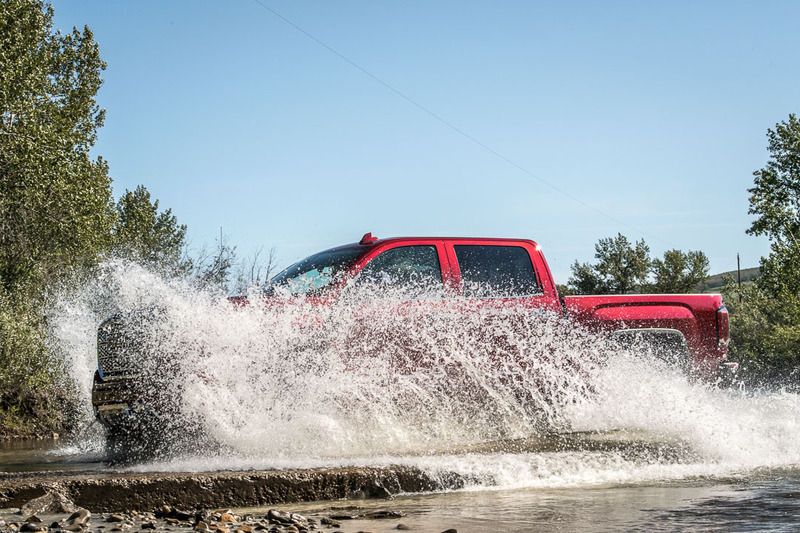 We got invited by GMC Canada to experience the Greatest Outdoor Show on Earth. 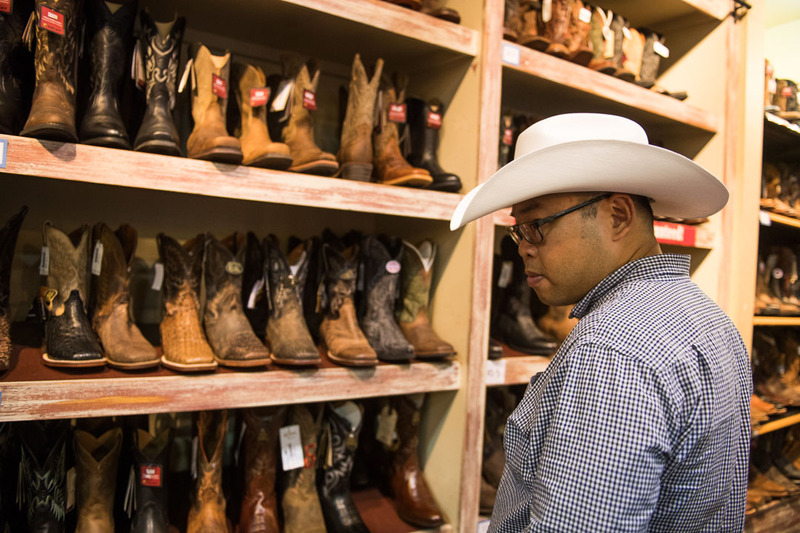 Upon arriving in Calgary, we got suited and booted with finest Western gear at Lammle’s Western Wear & Tack in Stephen Avenue Walk. 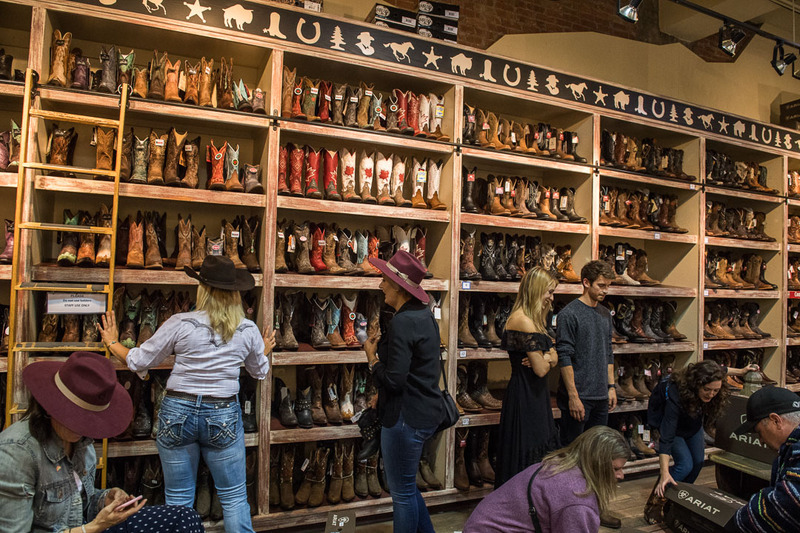 It was a little overwhelming with hundreds of boot style to choose from. Luckily, I was shopping #likeapro and picked out my boots within 10 minutes. The sleek rounded toe Ariat boot caught my eye plus they were very comfortable out of the store. 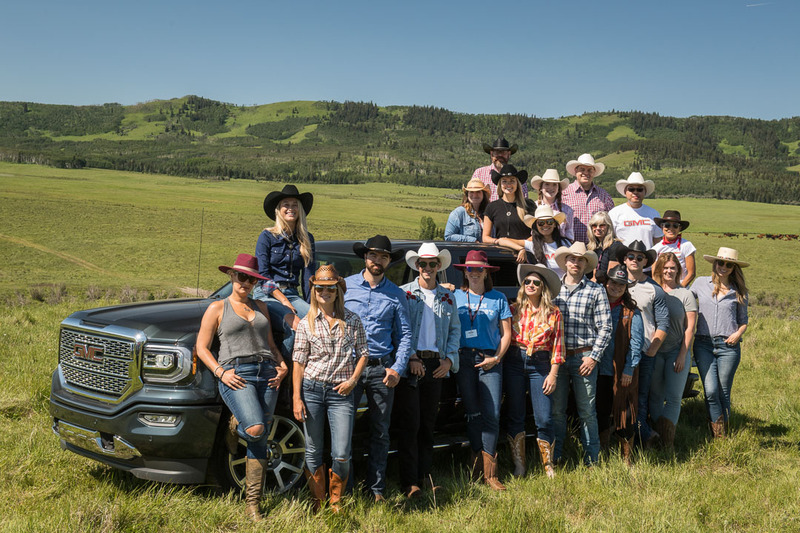 For our road trip to OH Ranch, we got to picked our ride from GMC’s top-of-the-line trucks and SUVs lineup – GMC Sierra, GMC Canyon, GMC Acadia and GMC Terrain. 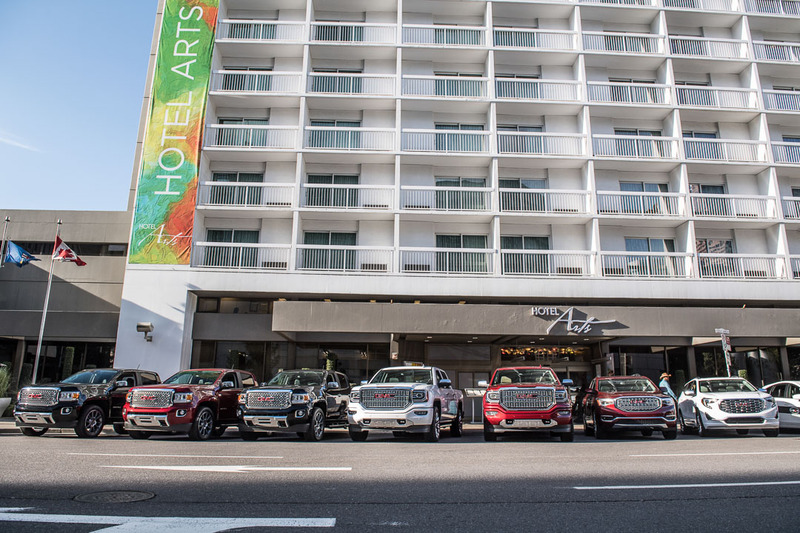 All equipped with Denali premium package which included more refined cabin, signature style elements, and the latest safety and driver-alert technologies. 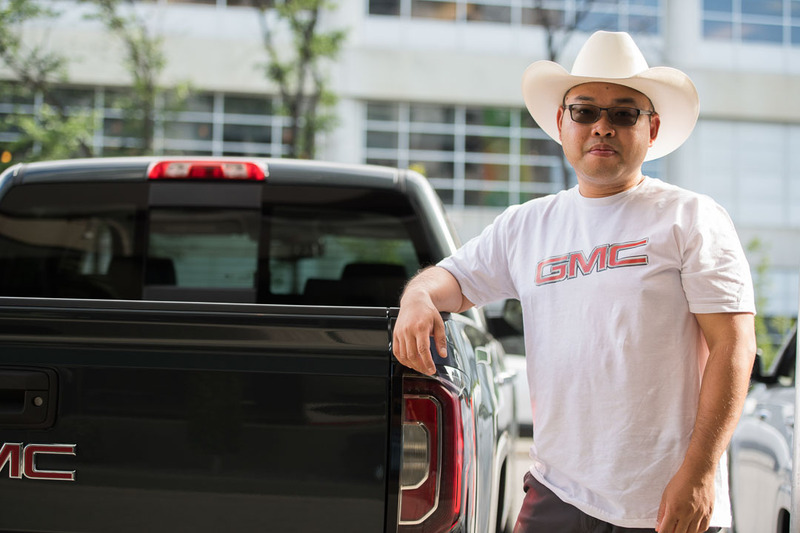 We chose the flagship 2018 GMC Sierra 1500 Denali. 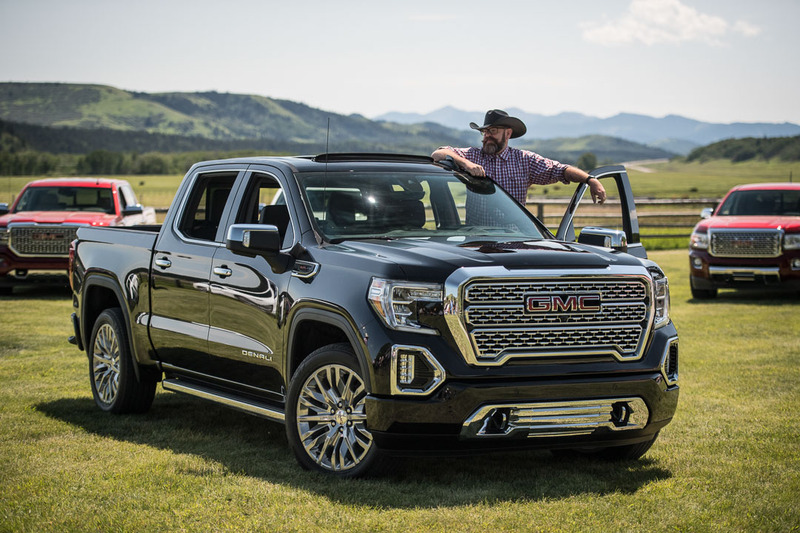 The luxury pickup truck features GMC signature LED lighting, Denali chrome accents, bold three-bar grille and 20-inch ultra-bright machined-aluminum wheels. Under the hood, it’s powered by 6.2-litre EcoTech3 V-8 engine producing 420 horsepower and 460 lb. ft. of torque. With Active Fuel Management, it can shut down half of the engine’s cylinders in order to improve fuel economy. 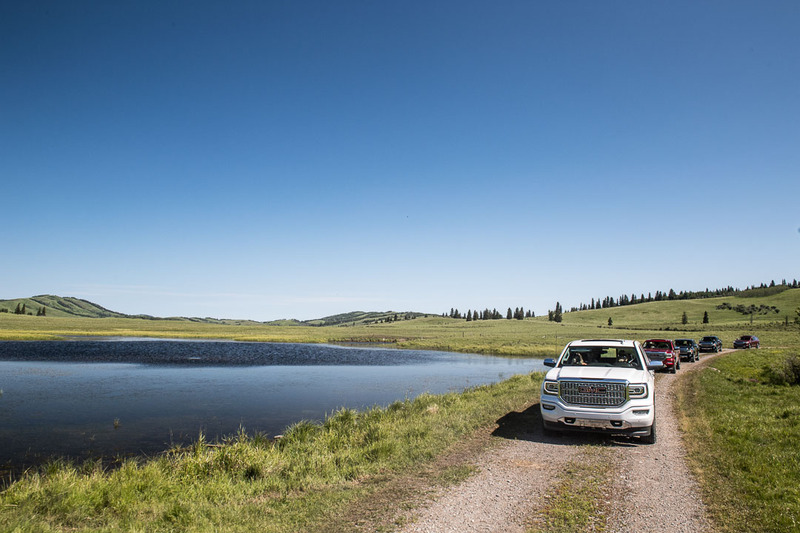 The luxurious Sierra Denali cabin is quite, spacious and comfortable with 12-way power leather seats, soft-touch instrument panel and real, brushed-aluminum trim. 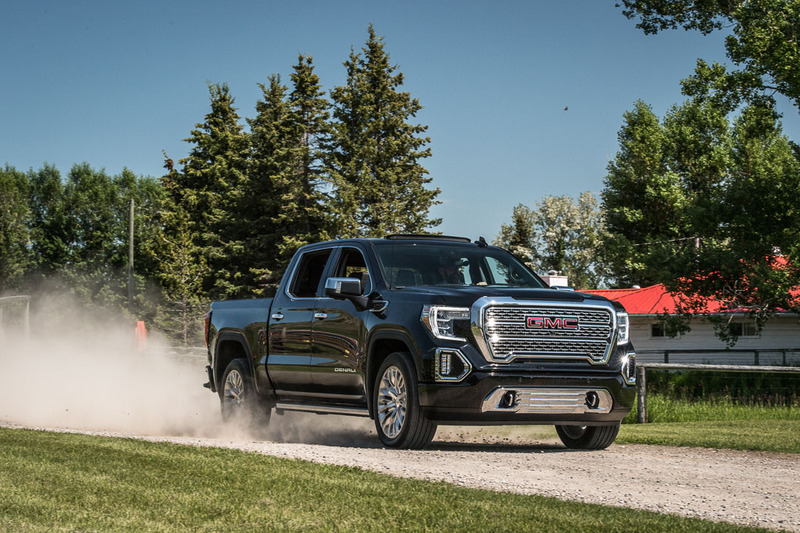 The 2018 Sierra is decked out with the latest connectivity options like 4G LTE, USB, Bluetooth and Qi wireless charging. One of my favourite feature is the built-in Wi-Fi hotspot which can connect up to seven devices connected simultaneously. We were able to streamed our Spotify playlist and updated our Instagram stories while on the road. 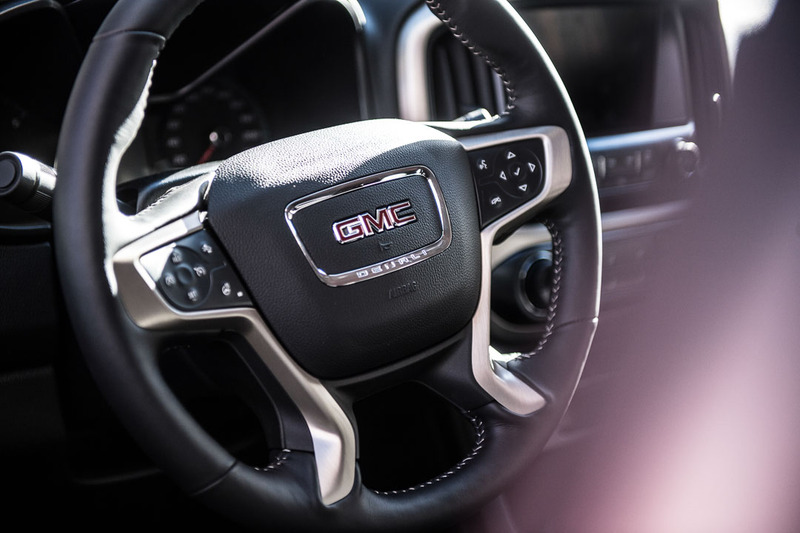 In addition, GMC IntelliLink infotainment systems is compatible with both Apple CarPlay and Android Auto so you can use your smartphone to access Google Maps, Google Now and Google Assistant. 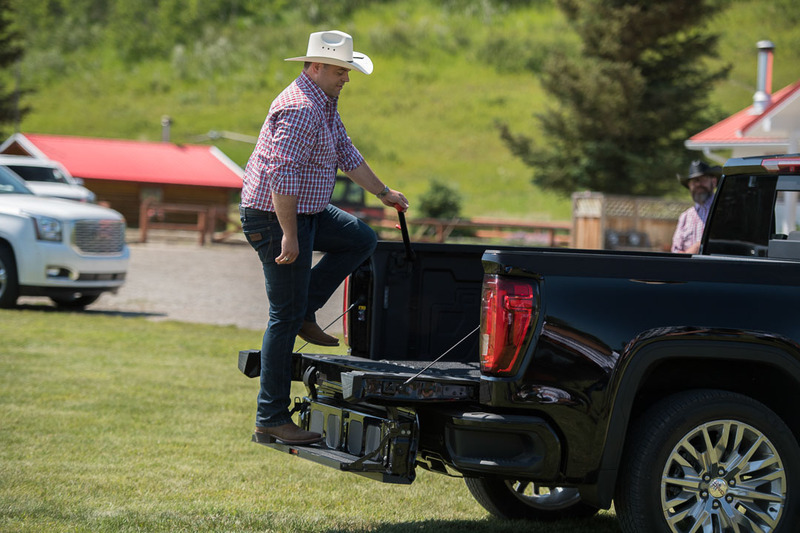 The Sierra Denali comes standard with Magnetic Ride Control System which adjusts the suspension of the vehicle in real time in response to changes in the road to offer a smooth ride even when on rough terrain. It’s also equipped with the state-of-the-art safety and driver-alert technologies like Low Speed Forward Automatic Braking, Lane Keep Assist, Forward Collision Alert, Safety Alert Driver Seat, Hill Start Assist, Front and Rear Park Assist, Rear Vision Camera and OnStar. 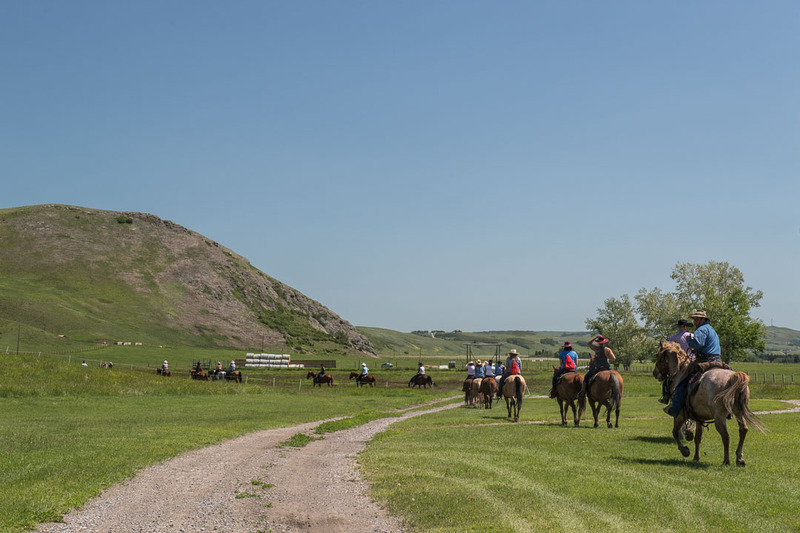 Located one and a half hour south of Calgary, OH Ranch Heritage Rangeland is a 8,000 acre working ranch in Longview. The OH Ranch was established in 1881 by Orville Hawkins Smith and Lafayette French. The OH brand is one of the oldest brand in Western Canada and is from Orville’s first initials. 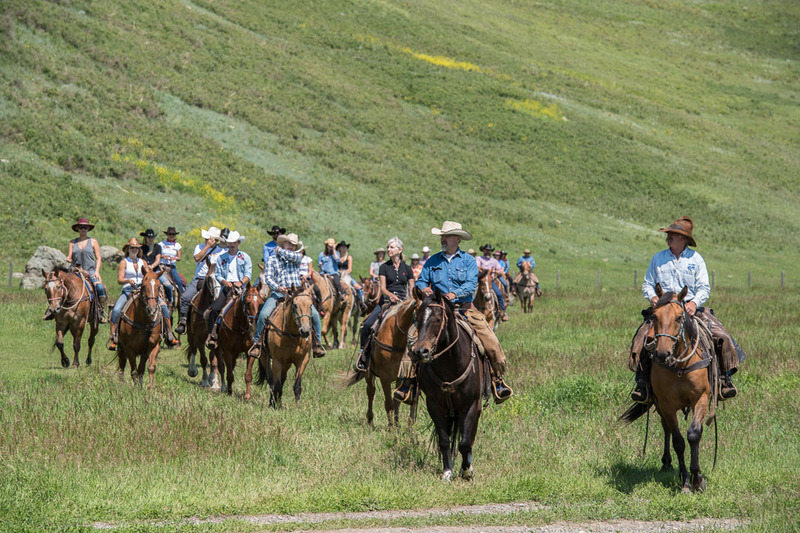 In 2012, Bill Siebens donated the historic property to the Calgary Stampede Foundation. 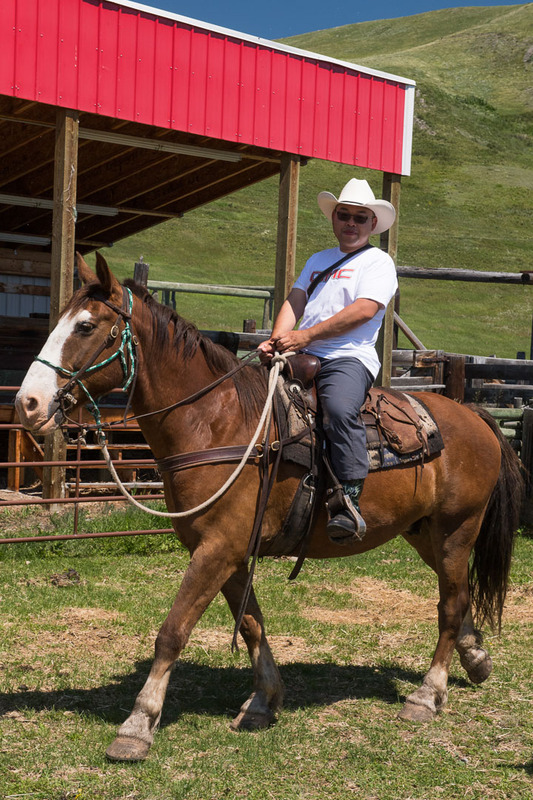 Since taking ownership, Calgary Stampede has preserve the western authenticity of the working OH Ranch and protect the natural environment and wildlife unique to Alberta. After lunch, we went on a two hour horseback tour around the OH Ranch property. I was paired up with Barney. He is very social and always want to be first in line with the lead horse. It was a fun afternoon riding along the rolling foothills of Southern Alberta. 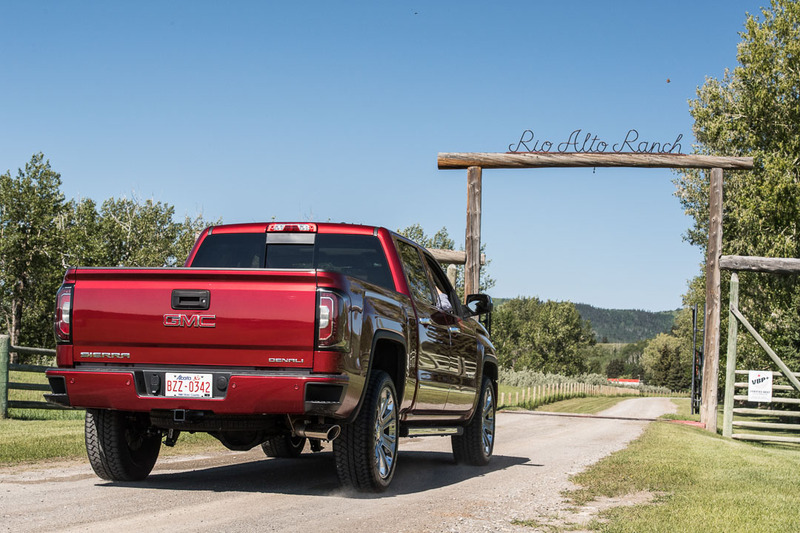 At the ranch, GMC also debuted the next generation 2019 GMC Sierra 1500 Denali. The completely redesigned luxury pickup truck is bigger and bolder with aggressive grille, new “light blade” signature lighting element and 20-inch polished aluminum wheels. The new Sierra crew cab is larger than before with exclusive Forge leather seats, dark-finish aluminum and open-pore wood trim accents. 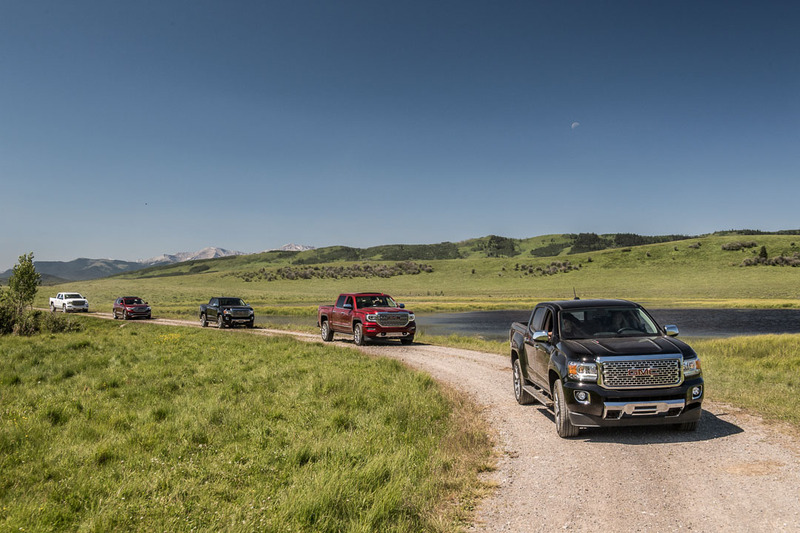 The 2019 Sierra is the first ever pickup to offer Multi-Colour 3×7 Head-Up Display and Rear Camera Mirror. The customizable head-up display projects key vehicle and infotainment system information on the windshield within your line of sight. 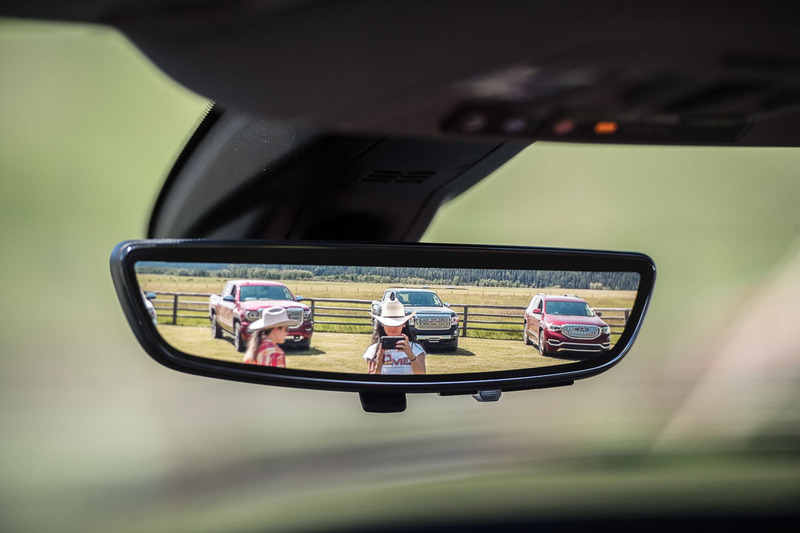 While the dual-function mirror can be used as a conventional rear-view mirror or as a camera-based rear-view mirror that helps you see around potential obstacles. The 2019 Sierra Denali comes standard with the state-of-the-art active safety feature like Front Collision Alert, Following Distance Indicator, Lane Change Alert with Side Blind Zone Alert, Lane Keep Assist with Lane Departure Warning, Front and Rear Park Assist, and Low-Speed Forward Automatic braking. The MultiPro Tailgate is one of the most innovative pickup tailgate with six unique functions and positions using it as a step, a seat, or a work table.